Are you ready to have a summer to remember? 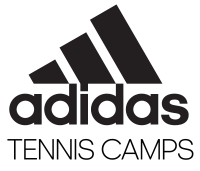 Make sure part of it is spent at one of our adidas Tennis Camps! 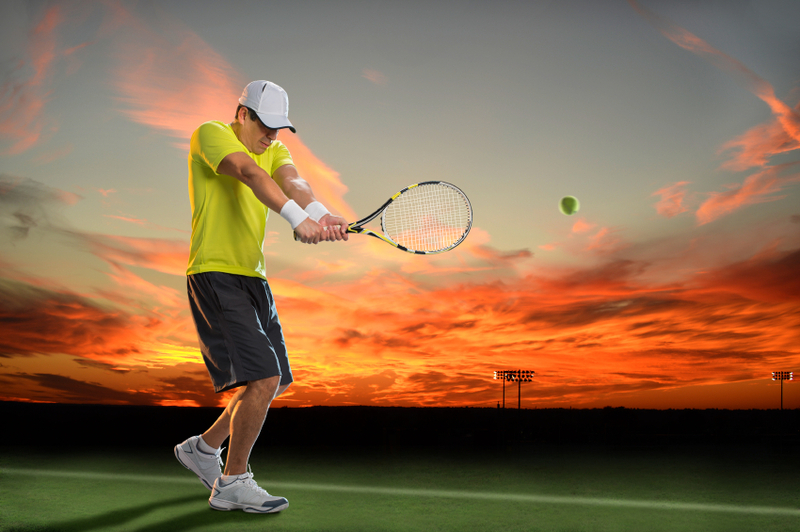 Tennis is one of the greatest sports out there and whether you’re a beginner or more advanced, we’ll help you improve on the court in just a short period of time. We’re proud to offer tennis camps in 19 different states, and one of our more popular areas is New Jersey. While there are just two different locations to choose from, there are tons of options you’ll need to sift through before making a decision. Here are the two options and what they have to offer. There are an abundance of options available at this location for players who must work around some pretty tight schedules. From July 5 through July 8, there is a day tennis camp available, but the options really open up throughout the rest of the month. Campers can choose from overnight, day, quick-start or extended day camps for either July 10 through July 15, July 17 through July 22 or July 24 through July 29. What exactly are the differences between each of those camp options? You can see a more detailed explanation here. The quick-start option isn’t explained there, but this is a half-day opportunity specifically available for youngsters from 5-7 years old. 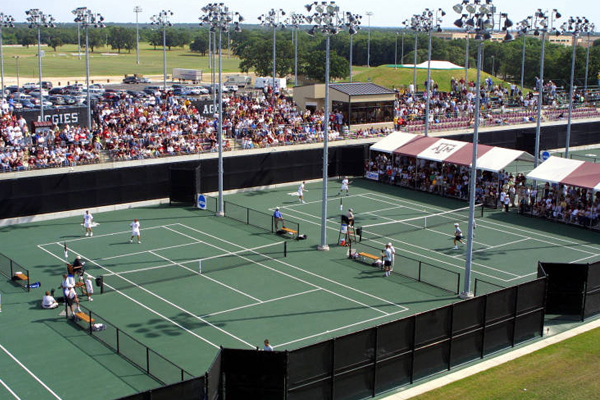 There’s also a special high school varsity or JV tennis package available for those coming in groups. If you arrive with four or more players from the same high school, you can take advantage of a special rate. To get more details, give us a call at 1-800-944-7112 or email us at support@tenniscamper.com. This location is offered as a day, overnight or extended day tennis camp depending on what campers are looking for with regard to their experience. Monmouth University is located near the Jersey Shore and there are six newly renovated tennis courts with top-notch facilities. This particular camp was rated one of the best on the Jersey Shore! One of the coaches that will be at Monmouth this summer is Greg Wyzykowski, who is currently in his ninth season with the Seton Hall Pirates while serving on the Big East Tennis Championship Committee. Wyzykowski has experienced success at other stops, winning a conference championship with Farleigh Dickinson and actually launching a women’s tennis program at Georgian Court University. 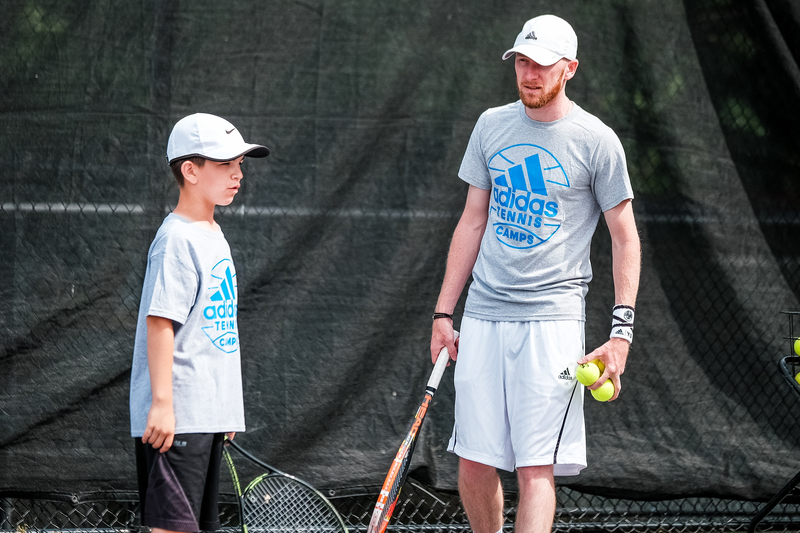 Wherever you participate in an adidas Tennis Camp, it’s our goal to help campers improve, but also doing so in a positive and fun atmosphere. Our coaches work with five core values in mind, which include: excellence, fun, improvement, safety and sportsmanship. While no two camp experiences will be exactly the same, we strive to deliver top-notch instruction with all the above values in mind so you can get a well-rounded experience by the time your week with us is over.